So unusual…it looks good enough to eat…or maybe drink in this case. The cocoa is creamy like latte. But the latte goes loco to finish all lavender! 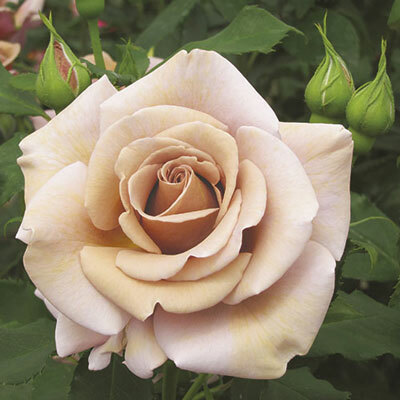 You just can't imagine a milky chocolate-colored bud would mature to be a solid soft lavender blossom. Early to bloom, every lovely bud spirals open with impeccable show form. The flowers last long on the plant & in the vase. Beyond its novelty, there lies a great plant….rounded, handsome & bushy…chock full of green leaves. Warm weather brings out the lavender.